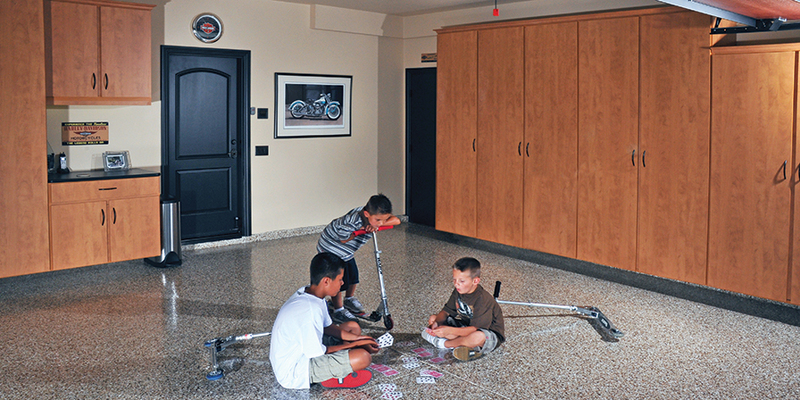 Let Garage Innovations Inc. help you maximize your garage space with affordable garage storage solutions. 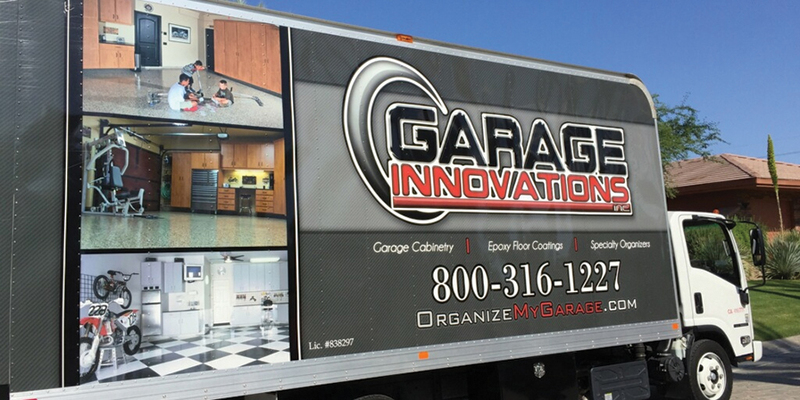 All Garage Innovations cabinets are made to order, and produced using only the best materials with the highest degree of craftsmanship. 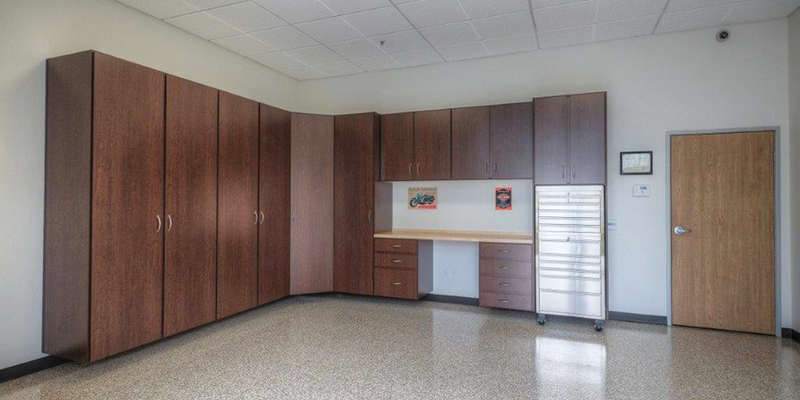 Our state-of-the-art manufacturing equipment produces clean precise edges on every garage cabinet panel, providing a perfect finish. PVC edging is applied at a temperature of over 200 degrees Celsius and is then trimmed, shaped, cleaned and polished to the edge of each panel. 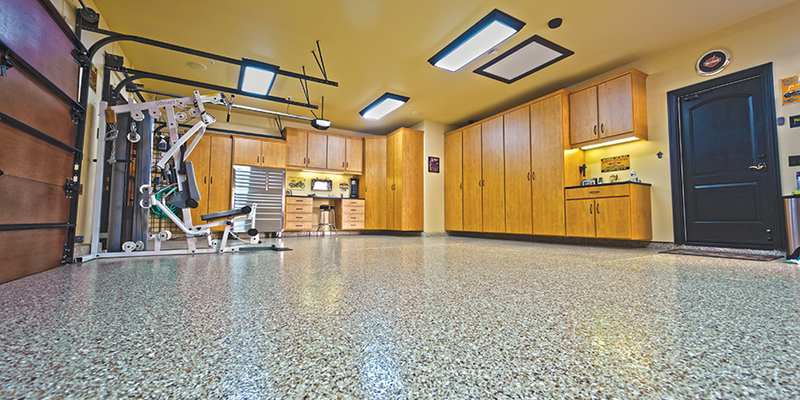 Our line of Epoxy / Polyurethane Coatings will make your garage floor look better than new. 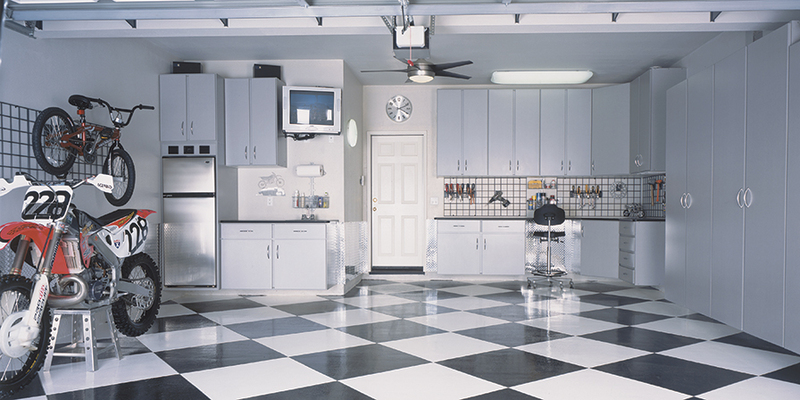 Whether you choose our full broadcast “Granite-look” flooring system, or our standard solid colored coating, your garage floor will be transformed into an attractive, easy-clean surface. Many of our clients have used their garages for birthday parties, Christmas parties, etc. as cake, wine and dirt are easily cleaned off these floors (not like your carpet). Our coatings are impervious to automobile fluids, household chemicals, hot tires and pet “accidents”. 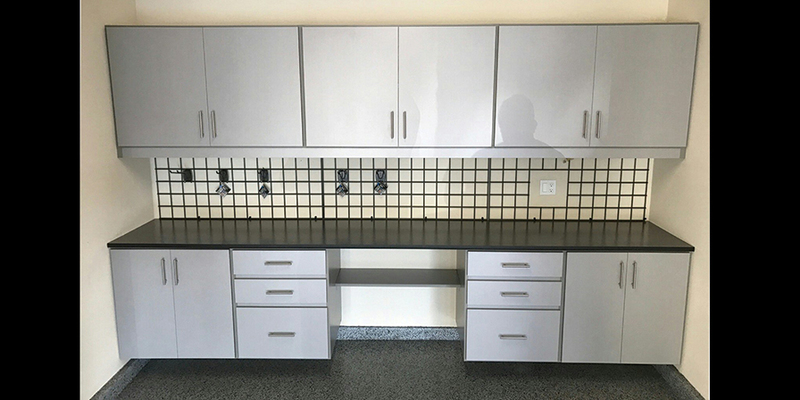 We offer a wide range of custom garage accessories including hooks, baskets, and shelves that are capable of holding anything you can imagine to store in your garage. The grid and storage components are constructed of heavy gauge, epoxy coated steel for lasting durability and scratch resistance.